With modern styling and a rounded look this mug will give plenty of emphasis to your marketing message. 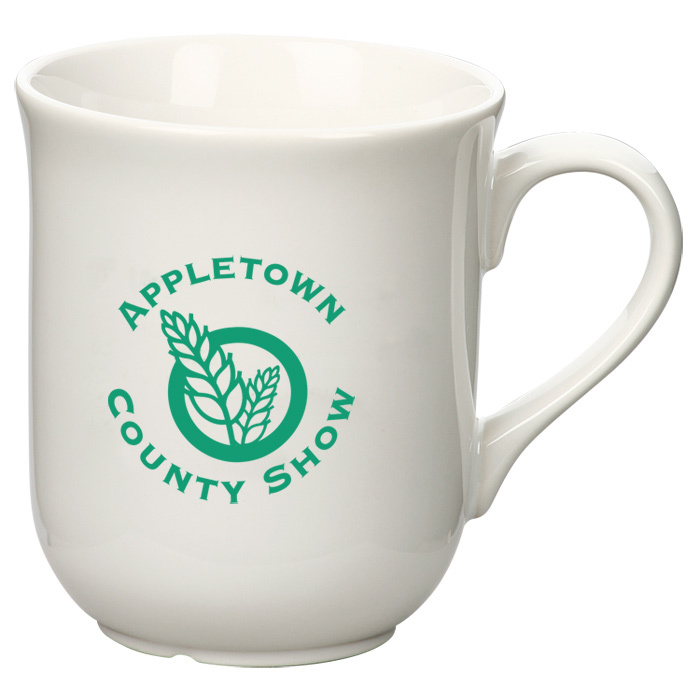 Mugs are always a popular choice and are an effective way to ensure your brand receives a daily exposure. Coloured Bell Mugs as well as a range of exclusive designs are also available. For orders of 504 mugs or less (with a 1 colour print) we also offer our 1 Day and 2 Day express service. Price includes a 1 colour print wrapped around the mug. Dimensions: 93 x 80mm dia. Print area: 185 x 40mm.